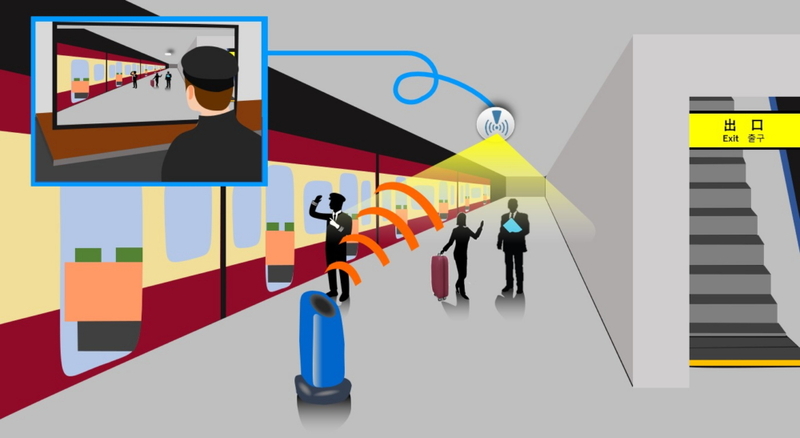 Samsung Electronics and KDDI today announced that they have successfully completed a 5G test with real time transmission of 4K ultra-high-definition (UHD) surveillance video on a train platform, the first in Japan. Together with Waseda University, Keihin Corporation, and Advanced Telecommunications Research Institute International (ATR), Samsung demonstrated effective communications through 4K UHD video using a 28GHz band 5G base station to enhance passenger safety in Tokyo. The demonstration was conducted from November 21 to December 21, 2018 at the Haneda Airport International Terminal in Ota, Tokyo. As the number of incoming visitors is steadily increasing, Samsung and KDDI have been working on the real-world scenario, powered by 5G, to make their travels safer and more convenient. Leveraging 5G has enabled the successful transmission of a large amount of video data, which used to be difficult to achieve through traditional mobile communications. Collecting and analyzing 4K UHD videos in real time will remove some of the burdens from the staff in charge of constantly monitoring footage. It will also aid them in detecting dangers in advance and improving overall safety.